After the Archive? Team: Köken Ergun, Hasan Özgür Top, Sarp Renk Özer, Doğa Yirik and Kültigin Kağan Akbulut. We thank Volkan Aslan, 5533, Cumhuriyet, SALT, DEPO, Studio X and Asena Günal for their valuable support. 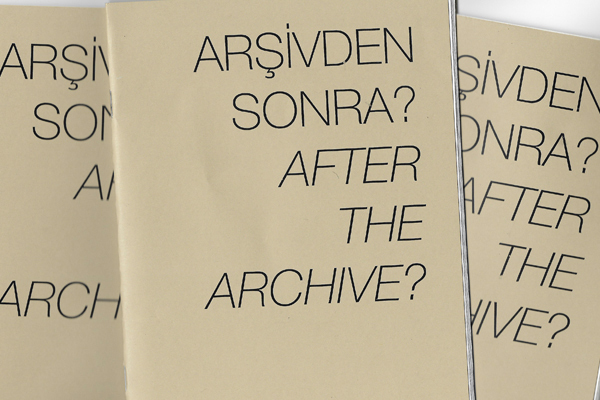 This booklet has been produced as part of Sivil Düşün EU Programme, with the support of the European Union. way be taken to reflet the views of the European Union.